As you walk through the Arco da Rua Augusta you begin your way into the heart of Lisboa. I didn’t know it at the time, but a hidden city secret is that you can actually head to the top of the arch and look onto the lovely streets. And if you thought that the Torre de Belém and Jeronimos were beautiful, then get ready for all the equally stunning city buildings adding a graceful nod to another time amongst the hustle and bustle of a modern city. A bank isn’t just a bank, it’s a breathtaking historical building with classic Pombaline style architecture fit with ornate structural details and prettiest pastel hues. Almost every building in Lisboa just exudes the beautiful Portuguese charm. How lucky are those who work and live in these ! As you can tell by the crowds in these photos the Praça Luís de Camões is one the most well known squares in Lisboa. Lovely buildings all around, locals and tourists passing by, cafes and al fresco restaurants and traditional tram trolleys add to the iconic European lifestyle. 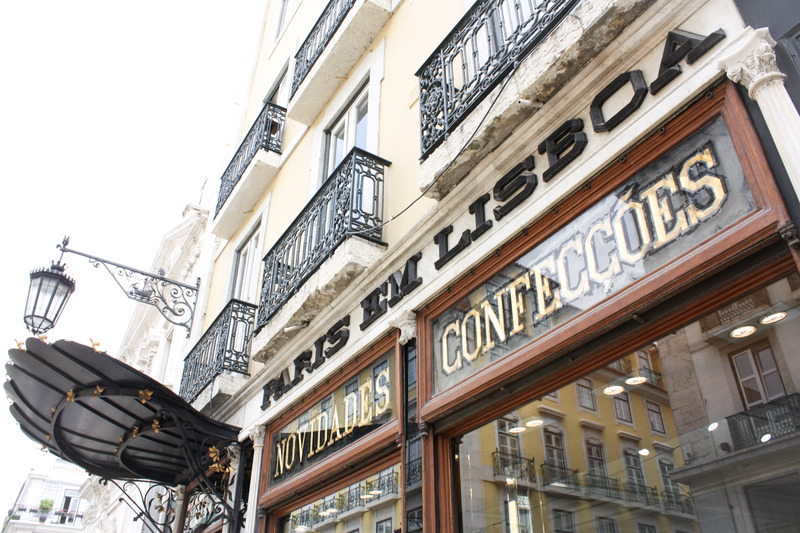 It’s no surprise the Largo Camões is one of Lisboa’s favorite meeting spots. especially at night, when the already busy square lights up! But during the day is when you can really appreciate the beauty built here. It’s dedicated to the country’s most famous poet, Luís de Camões, grandly depicted as a statue surrounded by smaller statues to represent this epic poem, “The Lusiads”. Naturally I was drawn and loved the mermaid details, and even cobblestones were designed with ships to evoke style of his story. 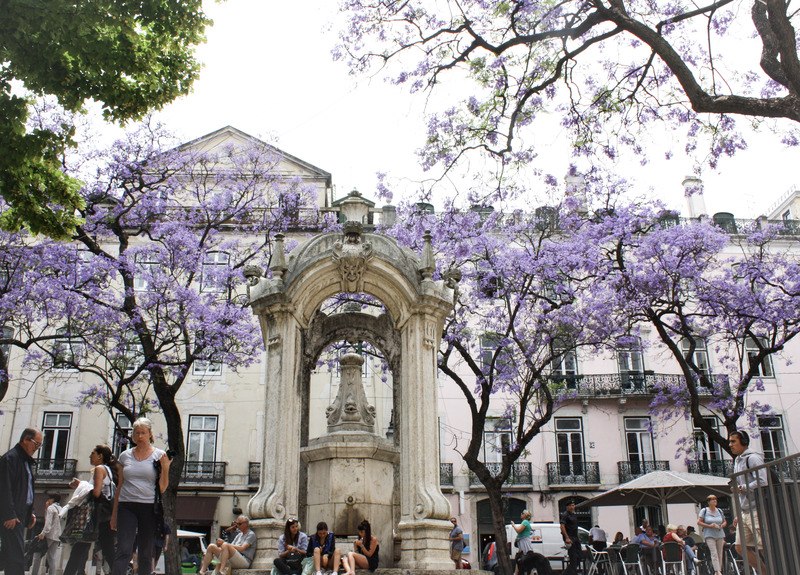 Like the Largo Camoes, you’ll stumble upon several quaint parks. When I went at the end of May each little park was just lovely with gazebo cafe stands and blooming Jacaranda trees, that had the prettiest purple hue and floral scent. Have I just described the perfect little city corner to venture off to? If I lived in Lisboa these parks would be favorite places of mine to read a book while taking in fresh air or discover all the different and wonderful people passing by. Another thing you’ll see several of in Lisboa and any major Portuguese city, are churches. Of course none of which are simple constructions. Each one’s styles, different from the next, tells a story of who designed it and the time it was built in. Some churches are small, blending in with its neighboring buildings that they can easily be overlooked. Lisboa has a few well known churches, one being the Lisbon Cathedral, better known as Sé. It’s the oldest church in city dating back to the 1150’s. I love world history, so it was quite amazing to be able to be in this holy building that has seen earth evolve over several centuries. Sé is quite a spectacular church, it’s a bit more dark and Gothic than others in the city. The ceiling artwork is exquisite, while the vaulted dark corners and grand gold details immediately give you that mystical fairytale-like Game of Thrones feeling. It also happens to be located right next to the Church of Santo Antonio, when every June, Lisboa celebrates St. Antonio with a week filled of city festivities. It’s actually a holiday for those who live in the city and surrounding area, and since St. Antonio is the patron of lovers, it’s become a holy day for engaged locals to have the chance of being married in the church. As if you didn’t already have an immense amount of history all over Lisboa, nestled within its streets and set near one of those quaint parks, you’ll find the Carmo Convent. The medieval gothic convent must have been quite a site during its time but has been ruined since a great earthquake in 1755. We didn’t get the chance to go in, but if you enjoy historical ruins, this is a great quick stop to tour in the middle of Lisboa. What you must do if you find yourself near the Convent, is walk up the mirador. You will be met with stunning skylines of old city and traditional Portuguese homes with lovely terracotta tile roofs. 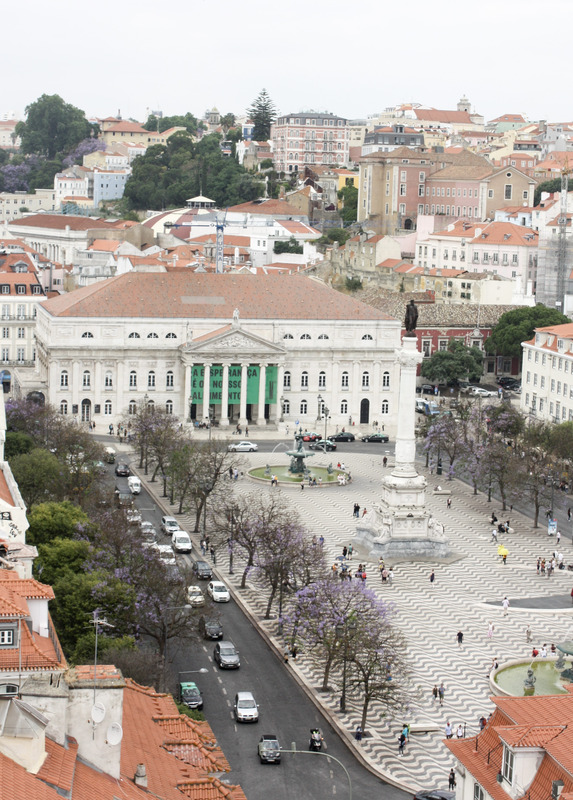 You’ll even get a glimpse onto the heart of Lisboa and Rossio Square, and the D. Maria II National Theater. I didn’t get to see the theater closely, but my uncle said it has one of the most beautiful interiors. And yes this gorgeous building is the municipal court. I mean, jury duty wouldn’t be so bad if it meant coming here… The Praça do Comércio reminds me all to well of traditional European squares. A big open square, typical with a grand statue, breathtaking architecture or monument, and in this case the eye-catching Arco da Rua Augusta and a lovely yellow building that wraps around the bustling praça . As if it couldn’t be more picturesque, the praça overlooks the beautiful Tagus River and city skylines, including a theater. Did I mention all those windows belong to office buildings. Now that is one absolutely perfect spot for a city office don’t you think? This location is one of the most pictured or shot for TV and I’m so glad that I got to see it in person, along with all the wonderfully beautiful and lively streets of Lisboa. 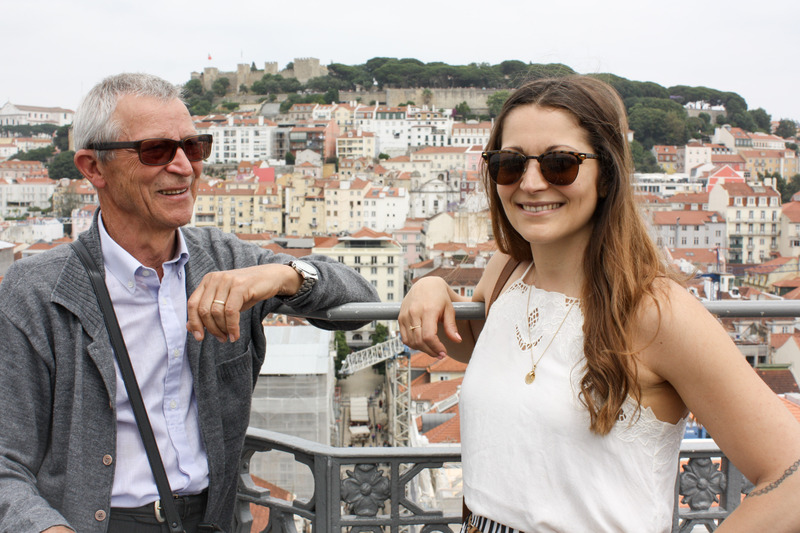 I knew there was something special about Portugal, but discovering it one step at a time, with a family member who as lived though the city over many years felt even more lovely.